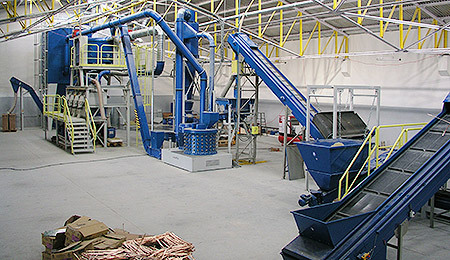 swissRTec offers comprehensive turnkey solutions for the processing of a variety of composite waste streams including waste electrical and electronic equipment (WEEE), auto shredder residue (ASR), cables, and printed circuit boards (PCB). The core competency of swissRTec is the shredding, delamination and separation of such materials and the subsequent recovery of high yield raw materials. Composites are objects made up of more than one raw material. A good example is E-waste which contains a variety of such composites like wires, PCB, plugs, plastics etc. By braking up, disintegrating and separating these composites valuable, high yield raw materials such as copper, aluminum, plastics and steel are being recovered. 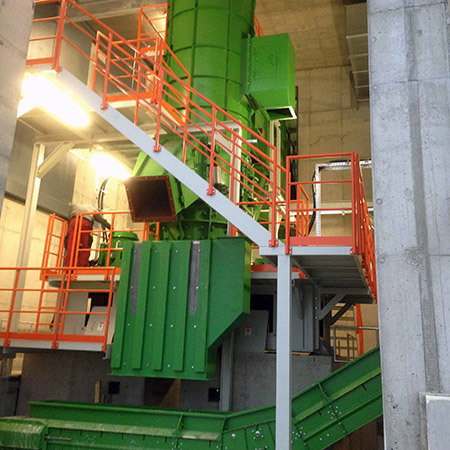 SRT 1 (Shredding and Separation Plant) and SRT 2 (Delamination and Separation Plant) are modular processing systems that can be used individually or in combination depending on material input and operational requirements. swissRTec supplies turnkey systems from design through to commissioning and after sales support. Throughput range from 1 to 25 tons per hour.